Fun, New Nail File Designs for You and Your Clients! 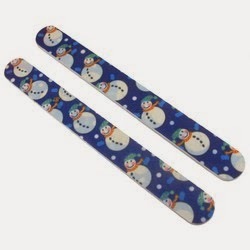 Change up your boring old nail files with these fun, new designs! 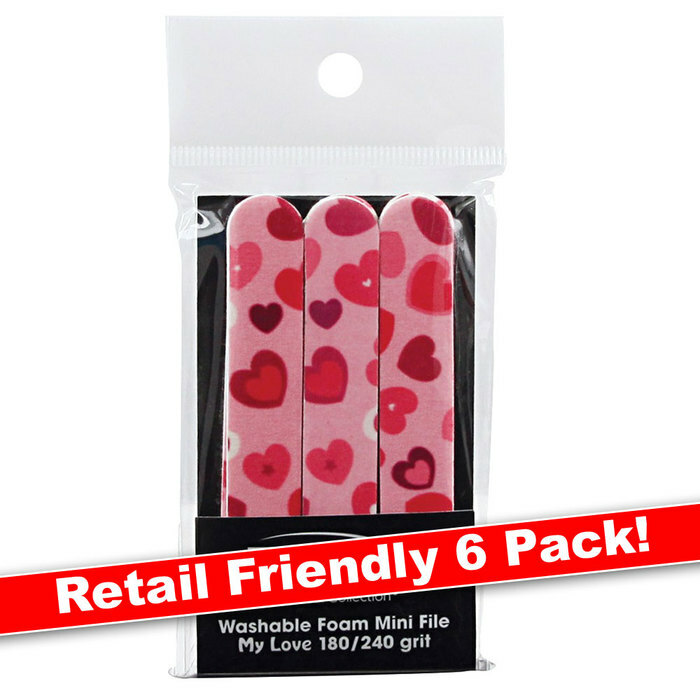 They come in a 2,000 count mega case and are great for use in the salon, as well as for retailing. 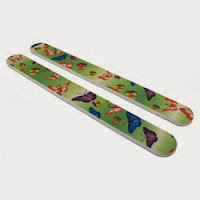 This 220/220 washable, cushioned nail file is specially designed for professionals or home use. This extra cushioned nail file provides for a better grip, ease of use and allows for more control and faster refinement. 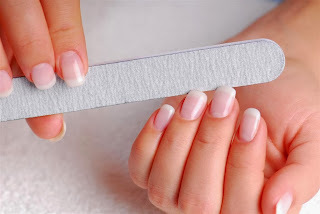 Put nail file under running water and brush the grit surfaces lightly. Do not leave immersed under water for more than 10 minutes. Pat dry and allow to air dry for 24 hours before re-use. Be sure to check with your local, state and federal regulations regarding proper sanitation laws if using this product in a salon. 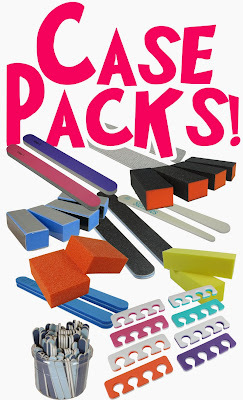 Nail File Mania - New Mega Case Packs of Nail Files! Wowza! Pure Spa just added HUNDREDS of case packs of nail files, buffer blocks and more in all grits and types from DHS. 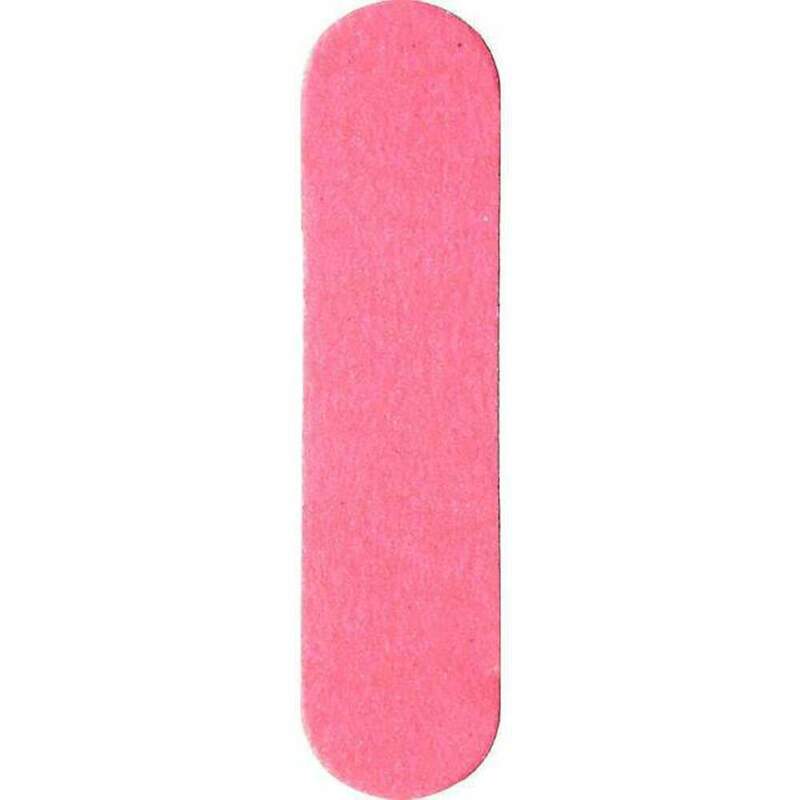 For over 20 years DHS has manufactured innovative, quality nail files and foot care products, including Sponge Boards, SnowBlocks, Sterifiles and more. Nail Buffers - For a Great Finish! Buying in case packs saves money AND time... when you need 'em, you already have 'em "in stock" right at your busy nail salon!